Protesters say they have shut down an opencast coal mine on land belonging to Conservative peer and climate sceptic Viscount Ridley. Campaigners calling themselves “Matt Ridley’s Conscience” have occupied one of the diggers at Shotton surface mine, in Cramlington, Northumberland on Viscount Ridley’s Blagdon Estate. The group, a mix of local campaigners and protesters from across the UK, have also formed a protest blocking the road, locking their arms into red arm tubes as part of a protest calling for an end to coal mining to protect the climate. Around 20 to 25 protesters are at the site, with banners that read “end coal“ and “keep it in the ground”. 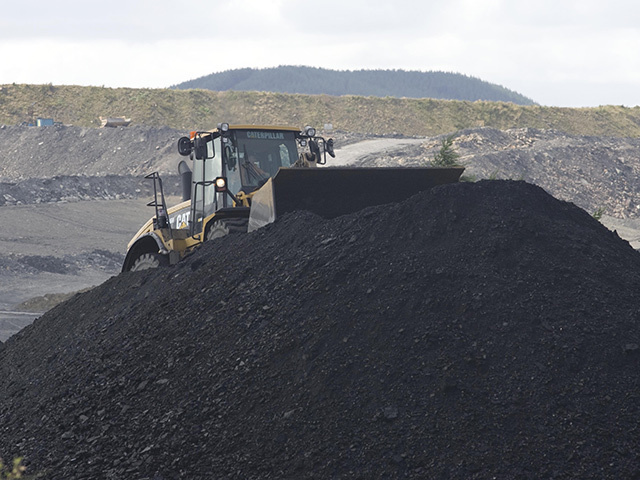 The mine, operated by Banks Mining, has around six million tonnes of coal to be recovered and supports 150 jobs, according to the company which has also submitted a planning application for a new opencast coal mine near Druridge Bay. Government to phase out the use of coal-fired power stations by 2023. The protest comes ahead of crucial UN talks in Paris in December which aim to agree a new global deal on tackling climate change. One of the activists, Ellen Gibson, said: “Gone are the days when mining benefited millions – now opencast mining lines the pockets of millions like climate sceptic Lord Ridley, whilst destroying the landscape and cooking the planet. “We need to keep 80% of all known fossil fuels in the ground if we’re to prevent catastrophic climate change, and coal is the dirtiest fuel of all.